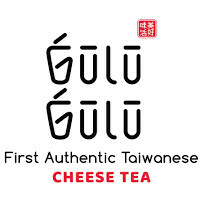 While on a trip to Taiwan, Donny Pramono le (founder of Sour Sally) was introduced to the idea of a cheese tea drink by his Taiwanese-descent Singaporean partner, Shaun Markus lee. As fate would have it, Donny loved the drink and embarked on an adventure with Shaun to start a brand specializing in cheese tea. And thus, Gulu Gulu was born. Quality is king, so the pair went to the Taiwanese highlands to source the authentic Taiwanese tea leaves known for its finest quality and strong aroma and to develop the most delicious and rich-tasting cheese foam. With the help of a Taiwanese tea master, the duo worked on to formulate the best cheese tea drinks soon to be known in Indonesia. Let’s get this #parTEA started!